Keep Your Cabinets Looking Beautiful: Tips on Caring for Newly Painted Cabinets! Your kitchen is looking chef’s-dream perfect! 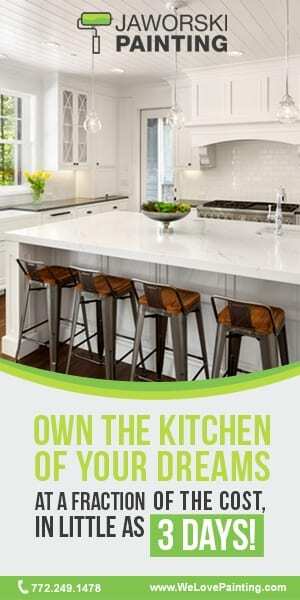 You’ve made the wise choice to have your cabinets repainted and thus update the look of the space without spending tens of thousands on brand new cabinetry. Same incredible effect, much easier on the budget. Now the trick is to keep the gorgeous new color and sheen of your freshly painted cabinets. Caring for newly painted wood, whether furniture, cabinets or any other such surface, really is about simply taking the time to follow some basic guidelines and also avoid a few definite no-no’s. 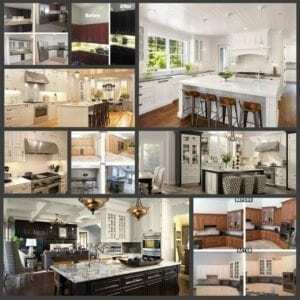 We’ve certainly dealt with our share of cabinet maintenance and finish preservation issues. So here are a few tips and ideas from the pros for keeping the paint finish on your redone kitchen cabinetry looking spectacular! Take care of spots and stains right after they occur. This is an important one! The longer you let a stain or spill sit on the surface of a freshly painted cabinet, the more difficult it will be to remove. You also risk having a permanent mark of some sort or discoloration as a result of letting a stain go for too long before wiping it away. Use mild products when wiping down cabinets. Using anything too harsh or chemical laden will inevitably mar the finish. A mild detergent will remove just about any stain or dirtied area without causing any issues. You could even use just a cloth dampened with water and maybe a drop of dish soap for more stubborn spills. Avoid an abrasive cloth, towel, sponge etc…You want to use a gentle and soft cloth on your newly painted cabinets. And also make sure that prior to wiping down the surface, the cloth that you are using is clean and not harboring any grainy or hard particles. These can scratch the finish and ultimately ruin the look of your cabinetry. Do not leave cabinets wet. When you are cleaning your cabinets, it’s very important that you wipe down the surface and then dry it. Leaving moisture sitting on painted wood for prolonged periods of time can cause issues such as bubbling, peeling and discoloration. Your newly redone cabinets can maintain their amazing appearance for years to come! It really is all about how you take care of them. And as you can see, the cleaning of your cabinets comes down to the basics. A little forethought and just a touch more extra care and that finish will continue to stun! 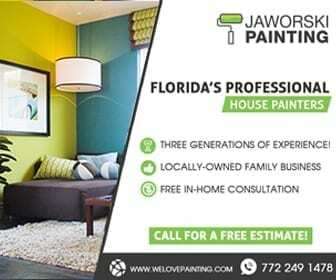 Need a house painting project completed? Contact us today for a free quote.